Anytime you are planning on getting higher education, it is of the utmost importance that you choose the best school for your career path and for you personally. You especially must take into account the quality of education the school offers and whether it offers what you need the most. Here are the things that should be in the front of your mind when choosing a school. Class experience is at the top of the list. Does the school offer students hands-on job training? Will they actively work with you after graduation to help you find employment? Do they offer classes that will fit your schedule? (This is important for adult learners who already have a full plate of responsibilities.) Finally, you want to do as much research as possible on each perspective school to ensure that what they teach will adequately prepare you to become certified. Before we get into the top dialysis technician schools, let us look at what a good school will teach you. Overall, the right program will have you well skilled in operating all the necessary equipment to do your job with 100% accuracy. They will also teach you how important the physical and emotional care of each patient is. Now onto the top schools for dialysis technician training! When you are searching for a school keep in mind that if the program only offers classroom work and no on the job training this is a huge red flag. If there are no clinical hours offered you should keep looking as this is a required part of a full dialysis technician education. The following five schools are considered to be the best in the United States for getting your dialysis technician education. There are several reasons why DaVita has been chosen as the number one for dialysis technician programs. First, it is the biggest kidney care provider by far with nearly 1,700 facilities across the country. 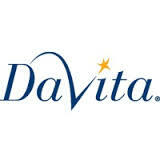 DaVita is a Fortune 500 company and has found itself way above the national average as it pertains to clinical outcomes. When entering school to become a dialysis technician DaVita actually pays you while you learn. To start the program with them you will need your high school diploma or GED. Once you have completed a full 400 hours of (paid) training you will be ready to take the dialysis technician national test so you can become licensed to practice in your new field. For more information on this program go to http://www.davita.com/about. This school is located in California and offers one of the best and affordable training programs for dialysis technicians. Their training is 100% hands on. The top focuses at Anderson are to learn how to operate the equipment in a flawless manner, know how to properly and efficiently manage and monitor patients during the dialysis procedure and know how to take all the necessary steps before, during and after treatment. Also included in Anderson’s program are both clinical and theoretical training aspects and work in real world settings. All of this is meant to get you ready to take the CHT. For more information on this school go to http://amcc.edu/. Fresenius is not only a school but a training center for dialysis technicians. It is a facility that offers several types of care to dialysis patients and includes in clinic services as well as home services. They are the top in clinical leadership and patient care. In order to qualify for their program, you must already have a high school diploma or GED. It also helps if you have some type of background working in the medical field, or at the very least working in a hospital or other clinical setting. This on the job training program gives you all the knowledge you need to become certified as a dialysis technician. For more information on this program go to http://www.ultracare-dialysis.com/. Sanford-Brown offers its programs in more than ten of the United States and offers students both hands-on and classroom training. Sanford-Brown also offers a fast-track program for those who have an open schedule, allowing graduation to occur faster than other programs without missing out on any vital training and educational information. To be eligible for their dialysis technician program you must have your high school diploma or GED by or before the year 2011 and live close enough to the campus to commute as often as necessary. That is the only downside to the fast track program. At this school, you will learn about all lab procedures, nutrition and diet, tech skills, patient care skills and everything else a dialysis technician would need to know to be successful. They also help you into internship programs to help you get started on your new career path. For more information on this program go to http://www.sanfordbrown.edu/. Everest has campuses in five states and is also known as Everest Institute and Everest University. You will find their schools in California, Massachusetts, Ohio, Minnesota and New Jersey. This school is number one for adult learners because it offers students schedules that are very flexible. Here you get both classroom training and hands-on clinical training. For more information on this school go to http://www.everest.edu/. Of course, there are many more schools that offer dialysis technician programs. These are just the top five suggested programs. To find something close to you, simply do a search. Here is a good place to get started: http://www.collegesanduniversities.org/programs/health-degrees/dialysis-technician-courses. Good luck to you on your path to becoming an important part of the medical community!